The mitten liners are growing slowly. I have been distracting myself with other projects, so it is my own fault that I still cannot line my mittens. One of my distractions was the Garter Gaiter – so squishy and cushy, I just could not resist knitting it up myself. Madelinetosh ASAP in Grasshopper and Silver Fox. Have you heard of the big event next weekend yet? If your are a regular blog reader, it is not news to you, I am guessing. We are very excited to welcome Stephen and Steven to the shop and to have them teach as well as entertain us with two trunk shows! I think there are some spaces left in the trunk shows, so if you want to meet them give us a call for a ticket. Which reminds me that I do want to block my “Exploration Station” before the big event, so I will be able to wear it. You can imagine that I, as an avid sock knitter, possess a lot of double pointed needles. A lot in the same size even. Then we got the addi FlipStix in. Will you believe me when I confess that I am still pondering getting a set? I think I might like them a lot. A feeling that crept up on me after trying them on Sam’s knitting. 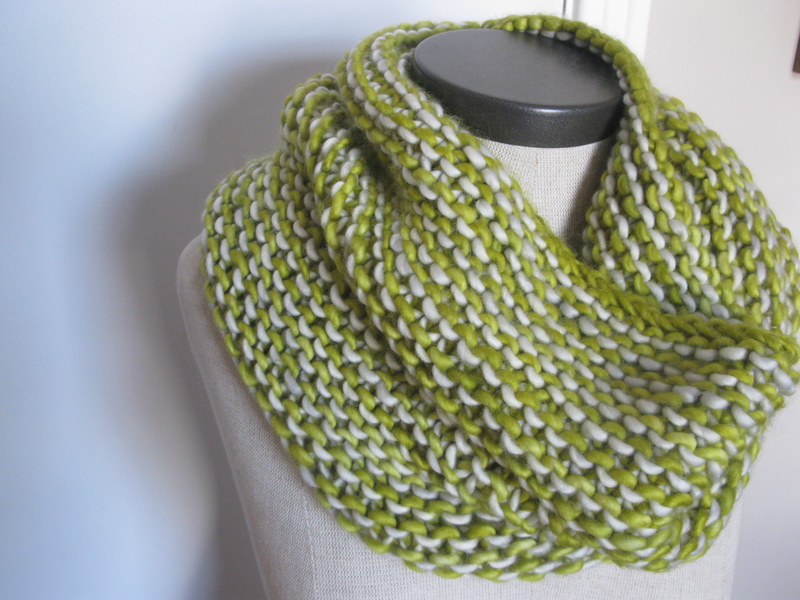 I have chosen my colors for the “3 Color Cashmere Cowl” I blogged about. I wanted to use yarn from my stash, and I managed to find a combo that I like. Madelinetosh Tosh Light in Grey Garden, Edison Bulb and Antler. I haven’t started knitting yet, because I want to finish a few projects that have been lingering first. Soon!